Click on the image or on the following reference to display the higher resolution image version (1.0 MB, PNG format). Processing Composition of 21 images. 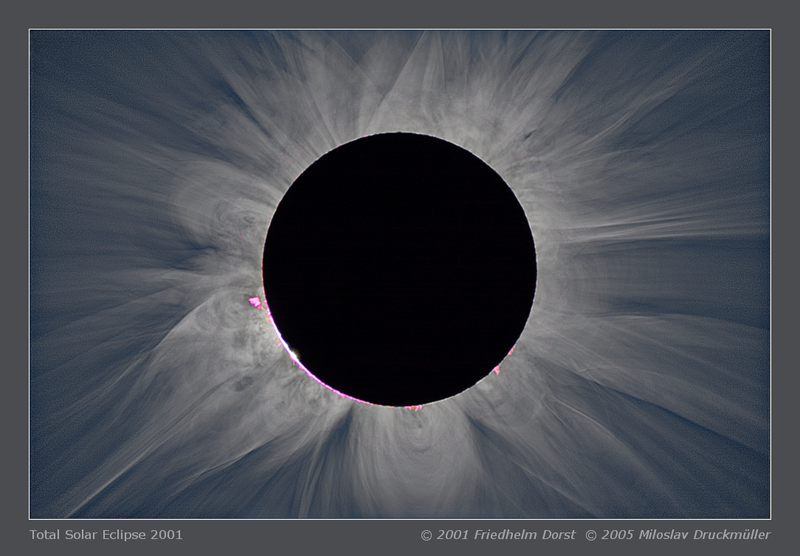 Images were aligned by means of phase correlation, composed by means of LDIC 1.0 software, processed using Corona 3.0 in order to visualize coronal structures. Final processing was done using ACC 6.0 software.